For the new episode of my podcast The Corner Radio, me and my peoples Yaw, Nick & JP are saluting Jay Z's "Reasonable Doubt" turning 20. We're chopping it up about how we first got put onto Jay, what we thought of "RD" when it first dropped, what producer held it down the most, what are our top 3 songs, what are our top 3 Jay verses and where does Reasonable Doubt rank in Jay's discography. 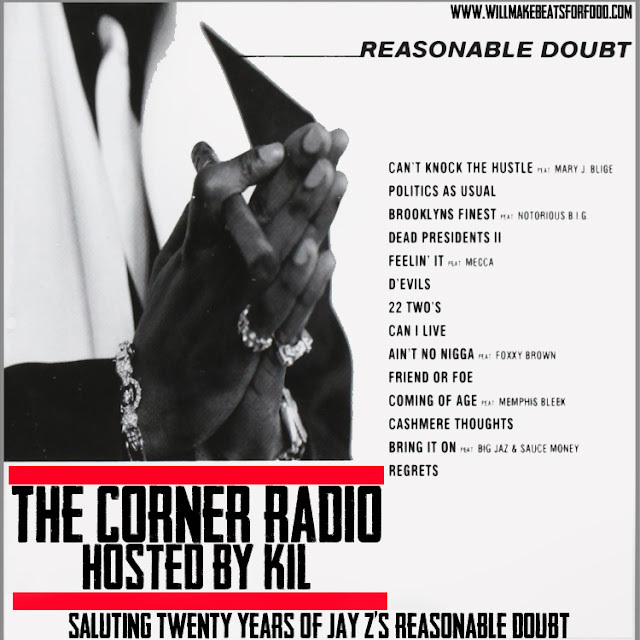 Trust, if you rock with Jay & Reasonable Doubt then you'll LOVE this ep!